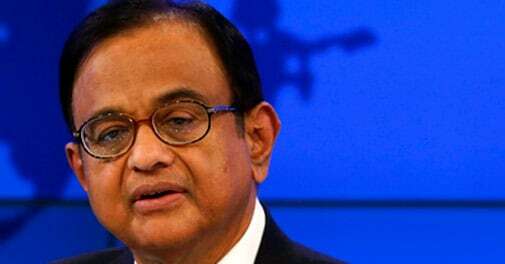 Finance Minister P Chidambaram has already equalled former prime minister Morarji Desai's record of eight regular Budgets. He will also surpass the eight-Budget track record of Pranab Mukherjee, who is now President and quite unlikely now to re-join this race. This is one annual exercise where Finance Minister P. Chidambaram will be just one behind former Prime Minister Morarji Desai. One is referring to the Union Budget, which is called for under Article 112 of the Constitution, as an annual financial statement of the government to be laid before Parliament. When the incumbent finance minister presents country's 83rd Union Budget on February 17, it will be the 9th such personal exercise for him-just one short of the record 10 tabled by Desai, who was finance minister in the Cabinets of Prime Ministers Jawaharlal Nehru and Indira Gandhi, before he became Prime Minister between 1977-80. Desai went on to present eight annual Budgets and two Interim Budgets. In his first stint as finance minister, he presented five regular Budgets from 1959-60 to 1963-64 and one Interim Budget for 1962-63. In his second stint, he presented three annual Budgets from 1967-68 to 1969-70 and one Interim Budget for 1967-68. During all the four Budget presentations in the second stint as finance minister -regular and Interim-Desai was also deputy prime minister in the Indira Gandhi Cabinet. Since independence in 1947, India has seen 25 finance ministers-in some cases the Prime Minister himself or herself holding the finance portfolio. Among them, they have presented 66 normal annual Budgets, 12 interim Budgets and four special-occasion budgetary measures, also called mini-Budgets. In contrast, all the previous Budgets presented by Chidambaram were full-fledged budgets-even though the one for 1996-97 was presented in July, and not February, as is customary-when H.D. Deve Gowda was Prime Minister. Therefore, the latest to be presented next week will be the first interim Budget for him. In a way, therefore, Chidambaram has already equalled Desai's record of eight regular Budgets. He will also surpass the eight-budget track record of Pranab Mukherjee, who is now President and quite unlikely now to re-join this race. In terms of numbers, in the past, there were three finance ministers who presented seven budgets each-Yashwant Sinha, Y.B. Chavan and C.D. Deshmukh. Prime Minister Manmohan Singh, who was finance minister between 1991 and 1996, tabled six of them, so did T.T. Krishnamachari who was the country's fourth finance minister. The next set of finance ministers in terms of the number of budget presentations were R. Venkataraman and H.M. Patel with three each, while Jaswant Singh, V.P. Singh, C. Subramaniam, John Mathai and R.K. Shanmukham Chetty had two each in their kitty. India's first prime minister, Jawaharlal Nehru, has one budget to his credit-so have his daughter Indira Gandhi and grand-son Rajiv Gandhi. Besides them, Charan Singh, N.D. Tiwari, Madhu Dandavate, S.B. Chavan and Sachindra Chaudhuri also presented one Budget each. Some circumstances also did not afford some leaders with the finance portfolio the pleasure of presenting a national Budget. Those in this category were Inder Kumar Gujral and Hemvati Nandan Bahugana. As far as next week's exercise goes, history can throw some light on what to expect. Under normal circumstances, finance ministers tend not to bring any new provision in interim Budgets. Since such Budgets are normally presented in an election year, finance ministers leave the task of a full-fledged exercise to their successors. But Chidambaram says nothing stops him from making some changes. "We can make any proposal, short of amending any law," he said. "We cannot propose amendments to the Income Tax Act, the Customs Act or the Excise Act. But we can also outline a vision for the future." But why this exercise, if it is so futile? This is because the previous Budget was for 2013-14, and the government was allowed by Parliament to only draw money till March 31 this year for various expenses, including salaries and wages. To draw funds beyond this cut-off date, fresh permission from Parliament is mandatory as per the Constitution. A sanction is, accordingly, required to draw such money from the Consolidated Fund of India for the next fiscal beginning April 1-thus, the outgoing government presents what is called a vote-on-account. Even here, the permission of the House is generally sought for drawing money for the first four months of the fiscal, leaving the next government to deal with the expenses thereafter. Therefore, since even a normal Budget is approved only in May-even if it is tabled end-February-this regular annual exercise, too, calls for a vote on account to provision money till then. Also, unlike a regular Budget, the interim one does not have any new proposal on the revenue side-that is, no taxation measures are proposed and status quo is maintained. Such a Budget only lists an estimate of the income generated and the expenditure incurred during the previous year, as also the likely expenses during the period for which the vote on account is sought.